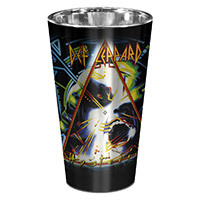 The Hysteria album art wraps all the way around this highly reflective 16 oz pint glass. Hand wash only, not suitable for microwave. 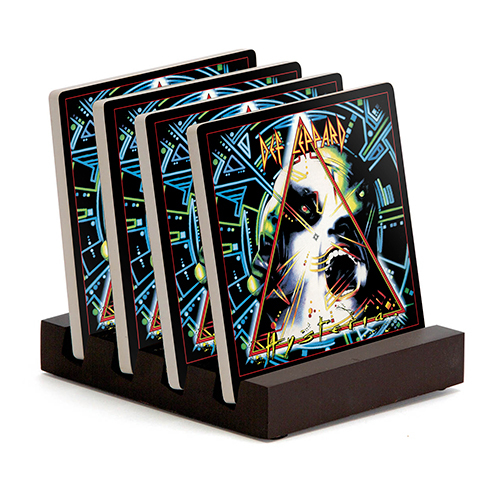 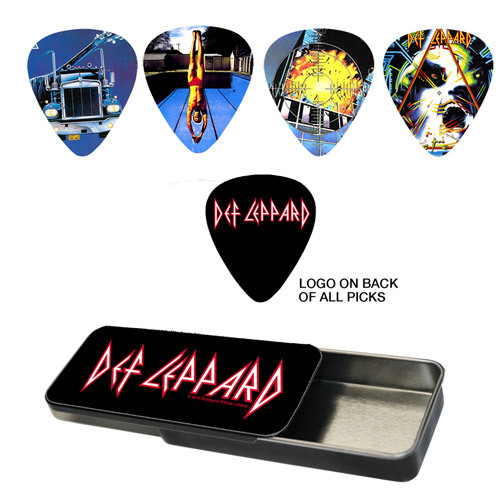 The album art for the first four albums is featured on the front of each of these four guitar picks. 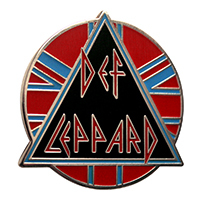 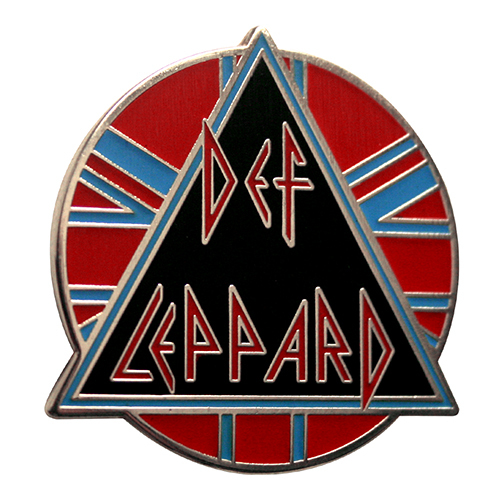 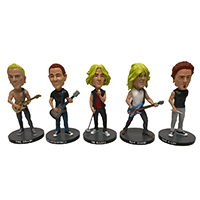 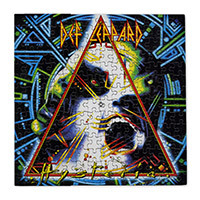 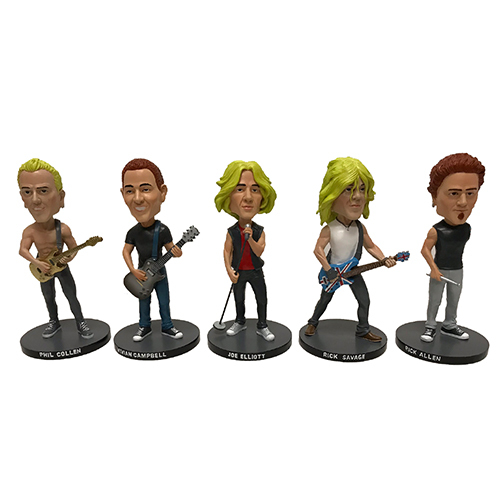 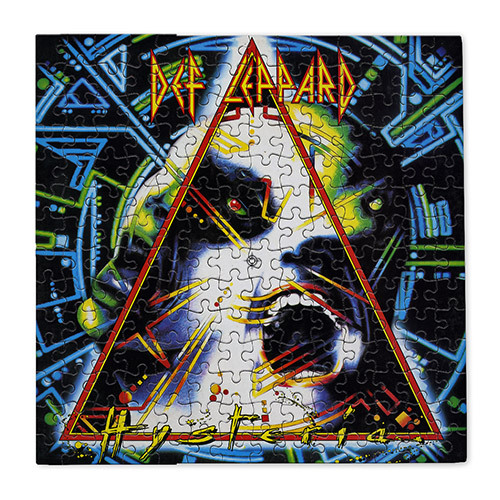 The Def Leppard logo appears on the back of each pick. 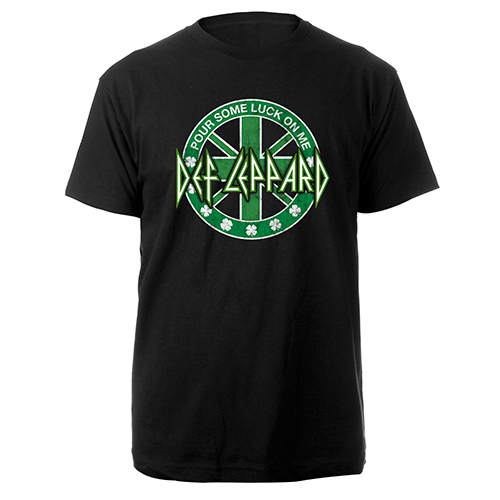 Packaged in a tin. 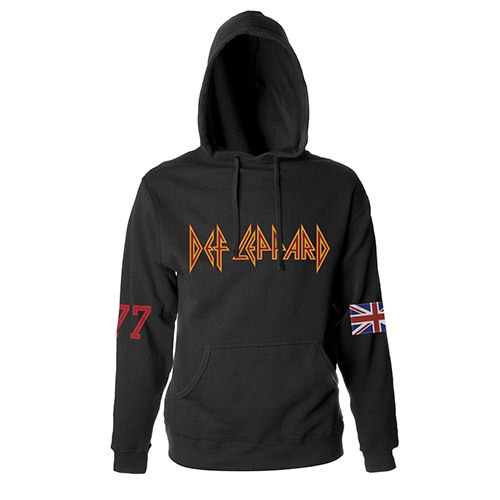 This unisex, heavyweight, black hooded sweatshirt has the UK flag on one arm and UK77 on the other. 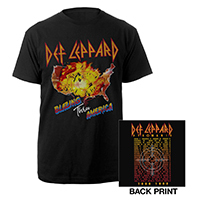 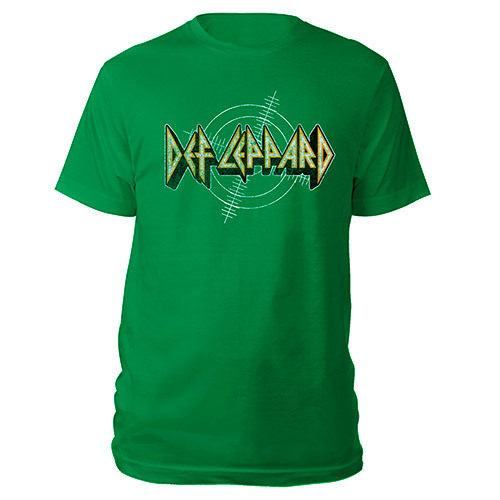 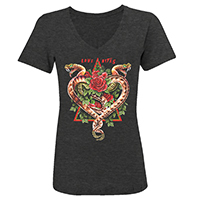 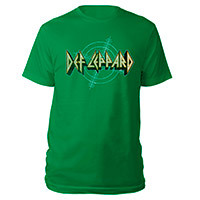 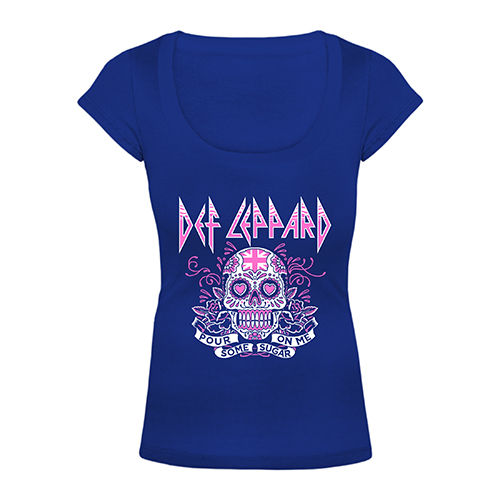 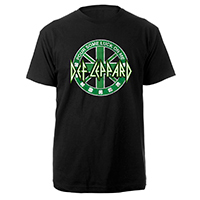 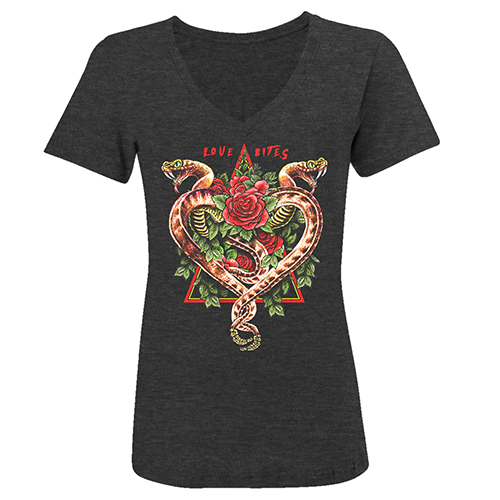 The front is printed with Def Leppard in classic red and yellow.